Parents of children with Down syndrome and other intellectual disabilities are accustomed to paying close attention to their child's physical, cognitive, and emotional development. This proactive approach should also include their child's sexual development, which for many parents may not seem as obvious or urgent, especially to those with young children. 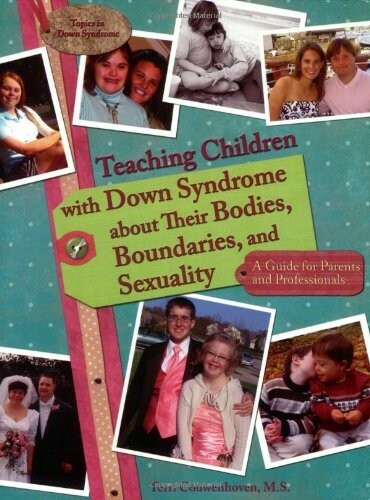 Drawing on her unique background as both a sexual educator and mother of a child with Down syndrome, the author blends factual information and practical ideas for teaching children with Down syndrome about their bodies, puberty, and sexuality. This book gives parents the confidence to speak comfortably about these sometimes difficult subjects. Each chapter highlights important points with key messages, teaching activities, parental pauses, and anecdotes, all of which prompt readers to stop and consider concepts or values associated with a particular topic. The final chapter covers the special concerns of parents who are now teaching teenaged or adult children about sexuality for the first time. It concludes with extensive appendices containing invaluable teaching materials and illustrations of body parts and functions.